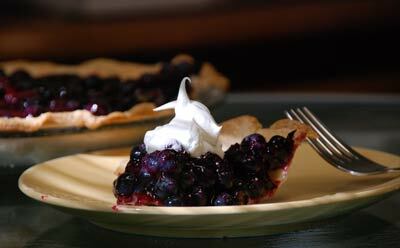 Fill baked pie crust with 3 cups blueberries. In a pan, crush remaining 1 cup blueberries and stir in sugar; cook over medium heat, stirring, until sugar is dissolved. Stir together cornstarch, water and lemon juice; add to blueberry mixture along with cinnamon. Cook stirring, until mixture boils and thickens; spoon over blueberries in baked pie crust. Refrigerate at least 1 hour or up to 8 hours. Serve with fresh whipped cream, whipped topping or vanilla ice cream. CONSUMER: There is a limit of one coupon per purchase, and the coupon can�t be combined with other offers. Redeemable only in the U.S., its territories, Puerto Rico and U.S. military bases on the purchase of the specified product/size. Void where prohibited or if altered, copied, transferred, auctioned, or sold. You must pay sales tax. Cash value: 1/100 of 1�. RETAILER: We will reimburse you for the face value of this coupon plus 8� if redeemed in compliance with our Coupon Reimbursement Policy (available at address below). Invoices proving purchase of sufficient stock to cover coupons presented for redemption must be provided upon request. Failure to follow the policy may constitute fraud and may void all coupons submitted. Mail to: Chattem, Inc. 1050, NCH Marketing Services, P.O. Box 880001, El Paso, TX 88588-0001.